Henry Sugimoto was a Japanese artist who immigrated to the United States in 1919. During World War II, he was interned first at Jerome and then at Rohwer Relocation Centers. At the camps, he painted, first in secret and then more openly, approximately one hundred works. Sugimoto, Henry, “Untitled (News of Pearl Harbor),” Digital Public Library of America, http://dp.la/item/224fe5c9fbe28faa495420fd528a1d2f. 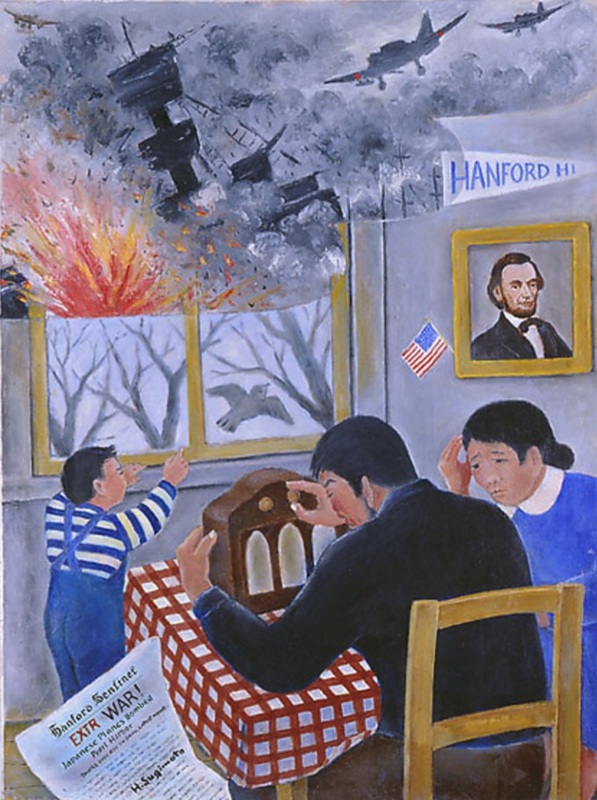 Courtesy of Japanese American National Museum via California Digital Library.